Give me cheese and I’ll be happy! Give me eggs and I’ll be very-very happy! Give me a combination of cheese and eggs and you’ve won my heart for life! This is honestly how the latest recipe in my latest recipe in the Royal Baking Powder series made me feel. 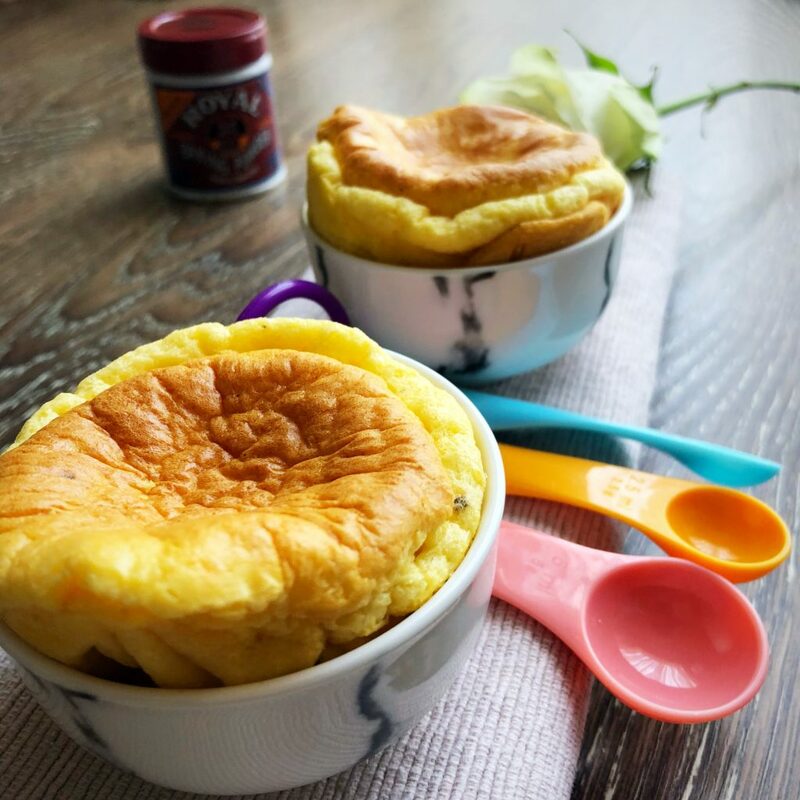 If you are like me and have or had never had a cheese soufflé before, you are seriously missing out! 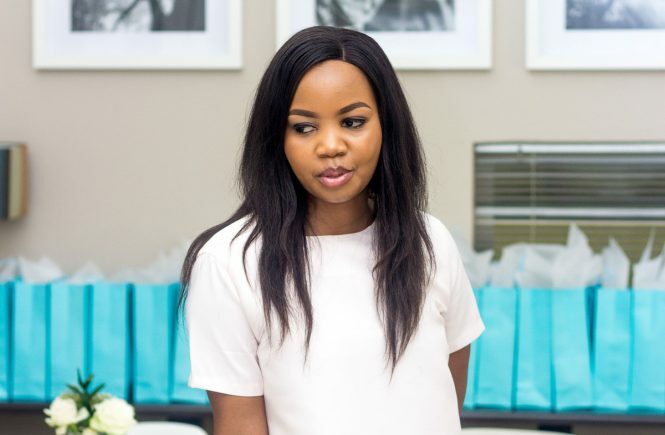 But, I’m here for you because I get it, we grew up with our Gogo’s making scones, queens-cakes or magwinya. Haha. 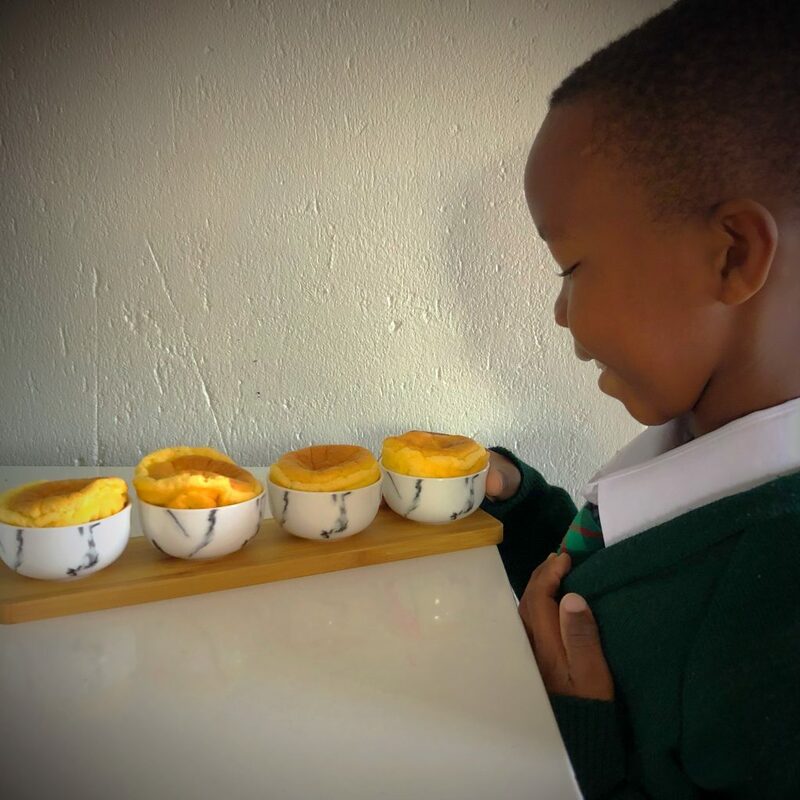 A soufflé is basically a baked egg-centred dish which is perfect as a savoury dish, a dessert or in our case, a lunchbox or afternoon snack for the kids. I normally get home around 5:30pm and they are nagging for a snack (usually an unhealthy one) while I settle in and prepare dinner, so these will be my new replacement. If you’re into meal prepping, a good idea might be to make a few on a Sunday afternoon and keep them in the fridge. When you need them, you can just warm up them up and serve, although they can also be enjoyed cold. 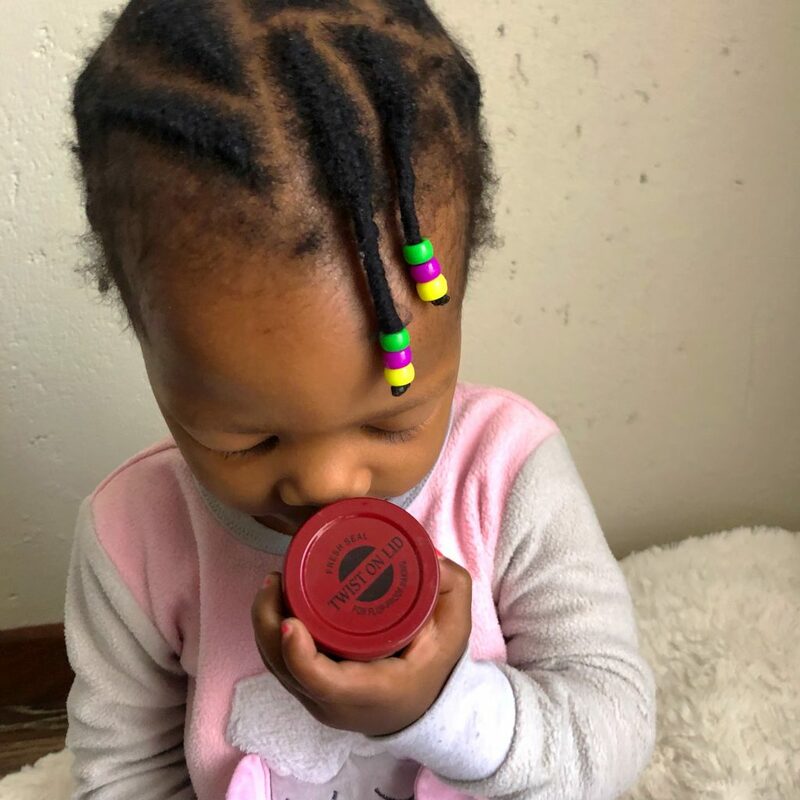 I’ve noticed that Lesedi’s appetite increases on the days when he plays a sport so this protein dose is exactly what he needs. The fancy-sounding dish originates from France but is not sophisticated to make at all. 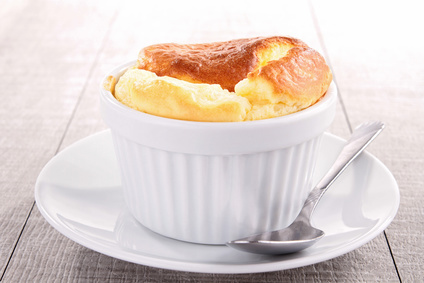 The word soufflé originates from the French verb “souffler” which means “to puff” – hence the puffy, spilling look of them. What I loved about it, is that you can make it in interesting variations, like adding corn, spinach, herbs, bacon and seafood. Here is how you make the magic happen! 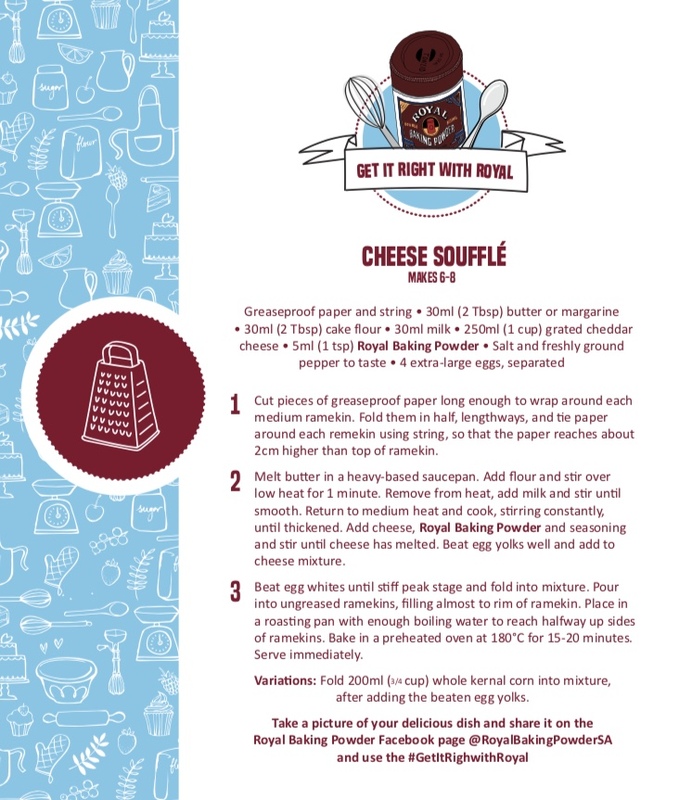 This recipe makes 6-8 servings. 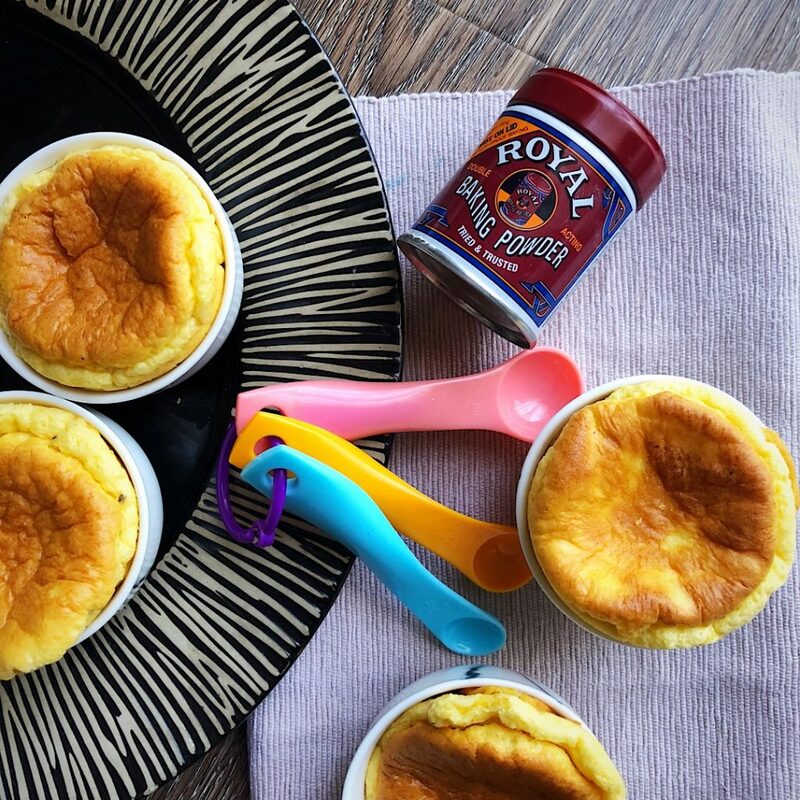 Royal Baking Powder keeps introducing me to exciting experiences and I can’t wait to bring you more delicious recipes! If you’re looking for more inspiration, you’ll be glad to know that I’ve also made pizza, doughnuts and banana Nutella muffins as part of this series. WIN: Royal Baking Powder is spoiling one lucky reader with a R1000 Yuppie Chef voucher to shop your favourite baking accessories and more! To enter, leave me a comment telling me why you love Royal Baking Powder. For bonus points, upload a picture of your Royal Baking Powder moment on my latest Royal Baking Powder Facebook post. This giveaway will be open until 21 August 2018. It is only open to South African residents. Winners will be notified by email. Prize is not transferable and may not be exchanged for cash. I use.the pizza dough recipe and it came out absolutely lovely. My family loved it. Gonna make another bath today. Hey Losh, I’m so pleased to hear that! I use.the pizza dough recipe and it came out absolutely lovely. My family loved it. Gonna make another batch today. My baking skills are just fine (well praised by my kids ALWAYS, and that’s all that matters much lol), and Royal baking powder does me a whole good because it won’t allow me to loose. It’s a special ingredient that ensures I get joy even if I doubted myself. 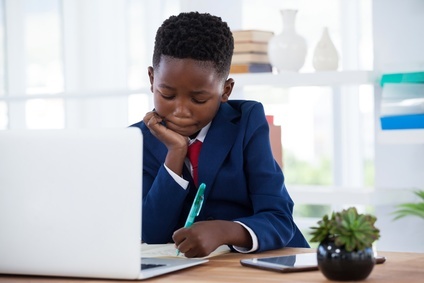 Yes mommy, all that matters is that they enjoy it – never has to be perfect. Thanks for the entry! 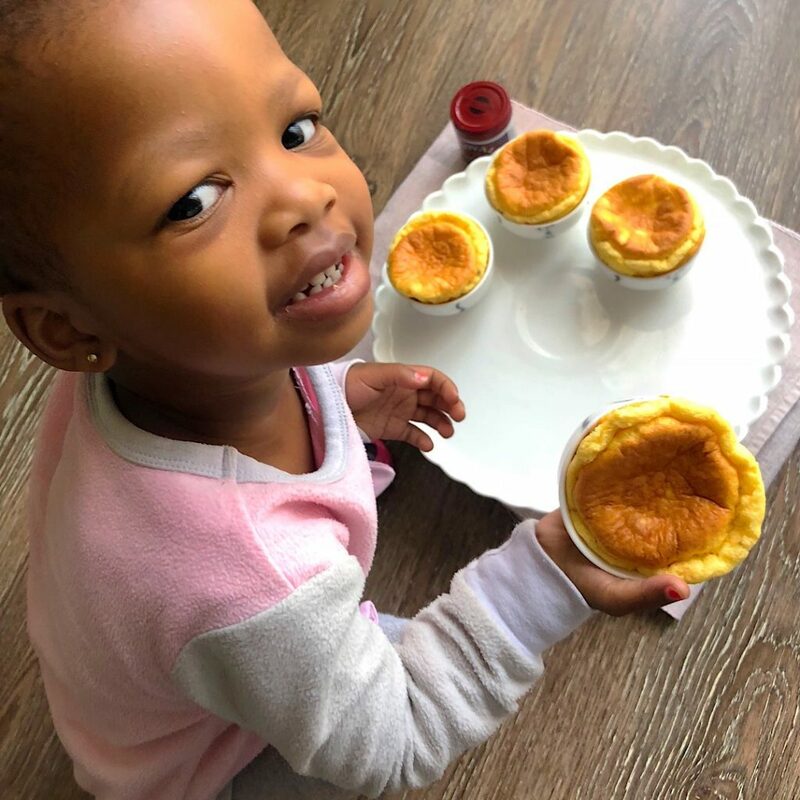 I love Royal Baking Powder SA because it never fails me as a mommy who loves baking for her kiddies, I always get the best results and compliments from my family when I use a family favourite Royal Baking Powder when I bake. I love Royal Baking Powder because it is a key component of my mom’s chocolate cake recipe. She passed away 2 years ago and I treasure her recipe more than anything else in my life. The Royal Baking Powder is the only brand I use and I can be assured that my cakes will always come out the oven fresh, moist and beautifully risen! Because it never disappoints 🙂 My mom used this when I was growing up and I always have in my cupboard.. not just for baking, but it makes my creamy mash potatoes fluffy and light. I love Royal Baking Powder because it always yields the best results, perfectly risen delightful treats!